It's only January I know, but if you have a prom/ball this year then you need to get thinking straight away about so many things! My year 11 prom was nearly 2 years ago, and thinking back now I am so glad I started to prepare in advance. 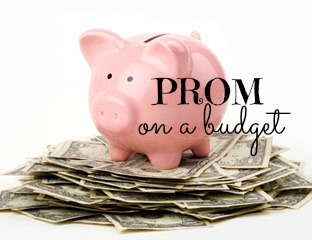 Here are some tips and tricks to help you along the way and to have a prom on a budget! Everyone is different, we all spend a various range of money on prom whether it be £30 or £300 it doesn't matter as long as you have a lovely night. Sit down and plan exactly what you need to get and how much you ideally want to spend on each of those things. The list grows longer and longer when you start to think about it, but once you have a realistic budget stick to it. After, you've set a yourself a budget shop around and see the best things/deals available. You don't have to spend money on everything, use things you have at home or up cycle the things you have and make them look £100 more expensive. -Transport - One of the most important things - how you going to get there? My group of friends and I kept it till last minute but I managed to find us a great deal for an amazing price too! It was bright pink on the outside, but stunning on the inside! - Hair, Make up, Nails = If you can do at least two of the three at home you will be less out of pocket but if you want to do it all then you go glen coco! Or even get it all done, I was very fortunate that my mums friend did it all for me so I was lucky and I am sure you all know of someone that can do either of the three. - Shoes + Bag = One of the things you can either save or splurge on. If you have a bag and a pair of shoes that go with a dress you have in mind then what is the point of buying new ones? Or buy new ones but don't spend lots if you know that you will not be wearing it in a few months time. - Dress = Now this is the one thing that I think everyone should buy if they can, whether you spend £15 or £150 the dress is the main event and what I think makes your night special. Every one buys different styles and types of dresses and your dress makes you unique and different to the person next to you and that is so amazing! 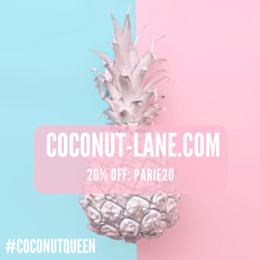 An amazing site is Dress2Party they are online as well as having two shops in London and a new one just opened up in Glasgow! Also, it is INTERNATIONAL! Even though, buying dresses online can be risky the best deals are always online and the choice online is much larger. Dress2Party are the largest stock lists for Sherri Hill and Jovani The dresses they have are ideal for Parties, Proms, and Bridesmaid Dresses. At Dress 2 Party they get that “It’s all about the dress”. They stock over 500 prom and party dresses ranging from size 0-18 - something for everyone! The staff who work at their stores, are experts in everything dresses from knowing what you want to finding what you want. Below are a few of my favourites from the site, they all range in price and colours as well - who knew there is so much choice out there! Hope you enjoyed this post and let me know your tips and tricks for prom season!